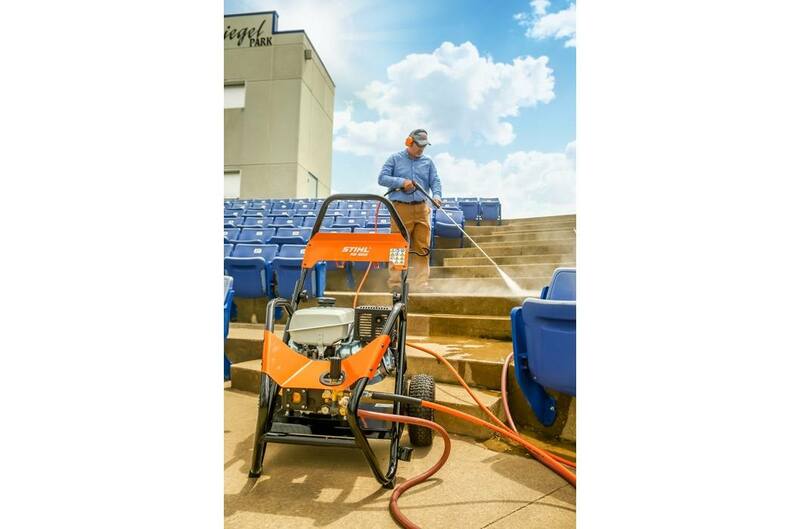 A powerful pressure washer featuring high-quality, durable components and designed for extensive use in professional applications. The STIHL RB 800 is the pressure washer you need if you are looking for professional power and performance. 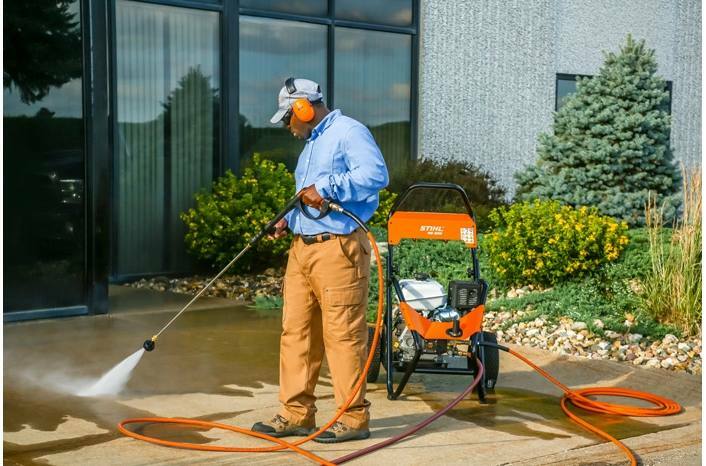 This power washer is the most impressive one in the STIHL lineup. It is designed for heavy-duty commercial use and can get through tough cleaning jobs. With 4,200 psi of water pressure and 429 cc engine, the RB 800 cleans up the dirtiest jobs with ease. Its industrial design is made to withstand heavy daily use. Plus, with the easy start pump system, you can start the washer without difficulty or back pressure from the pump. This professional pressure washer is designed for convenience, durability and can be customized with a full range of optional accessories. 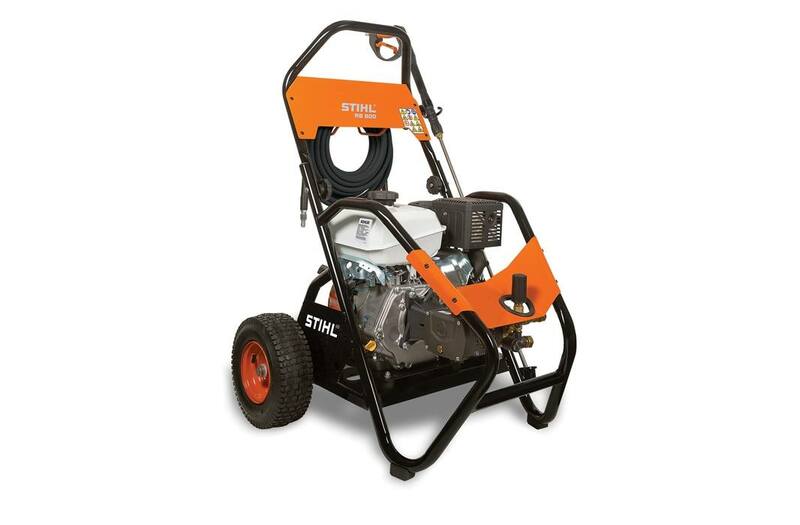 Anti-Vibration System: This pressure washer features a STIHL-engineered 4-point vibration isolation system. This reduces pump vibration during use for increased unit longevity. Automatic Fuel Shut-Off Valve: This pressure washer features a combined on/off and fuel valve control. This allows the user to shut unit off and close fuel valve automatically for easy, no-mess transport. View the RB 800 features.